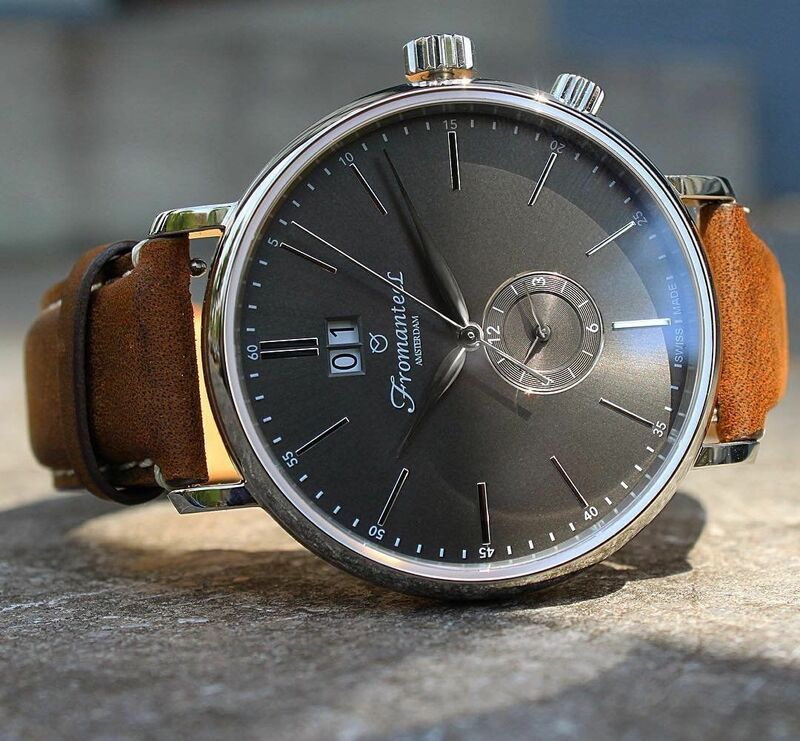 Add undeniable sophistication right to your wrist with the Generation Series Twin Time Watch by Fromanteel. 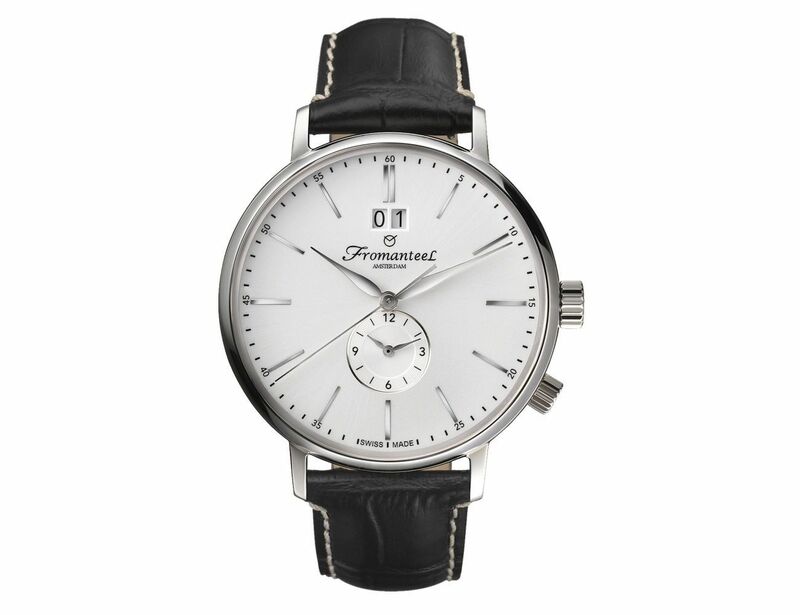 Add undeniable sophistication right to your wrist with the Generation Series Twin Time Watch by Fromanteel. 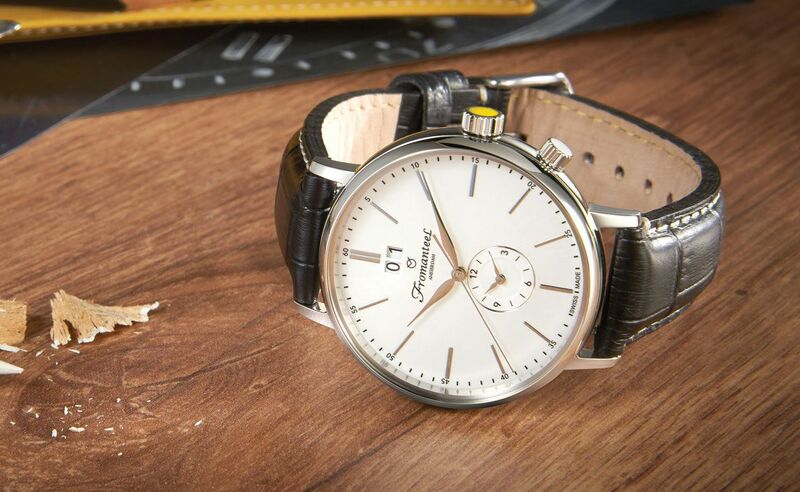 Designed to be simplistic, this watch delivers the time in large notches and striking hands. 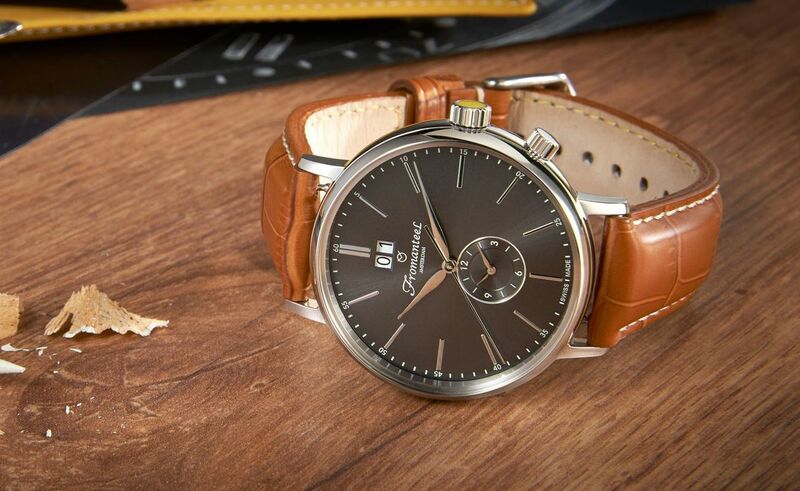 Encasing the movement and watch face is a luxurious stainless steel case. On the side is a subtle crown which contributes to the minimalist approach. The Twin Time features a date window just below the 12 o’clock position. 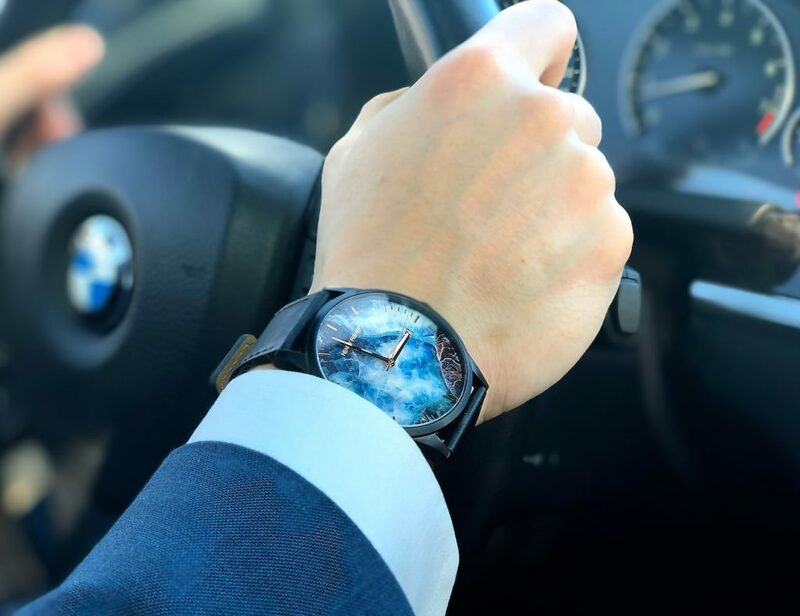 In addition, a subdial just above the 6 o’clock position shows a smaller face. With this, you can set another time zone which is perfect for frequent fliers. 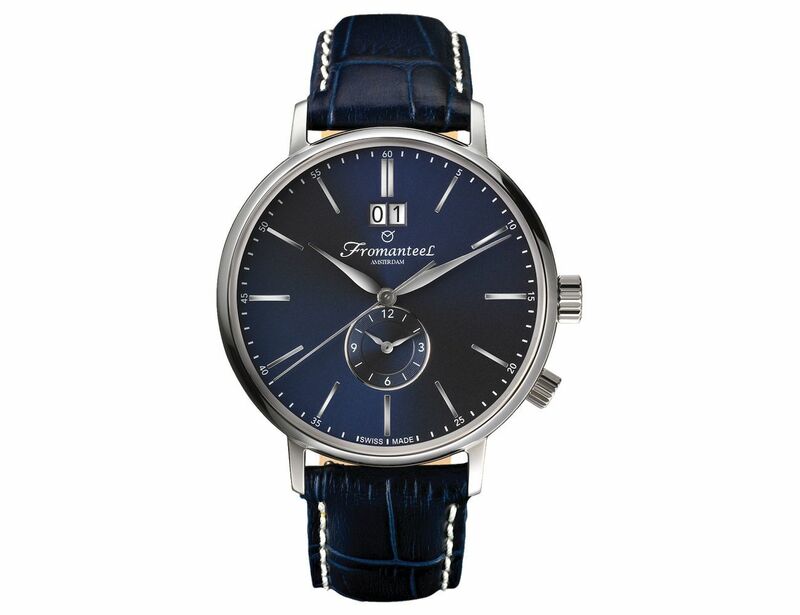 This beautiful timepiece comes in dark grey, white, or blue. 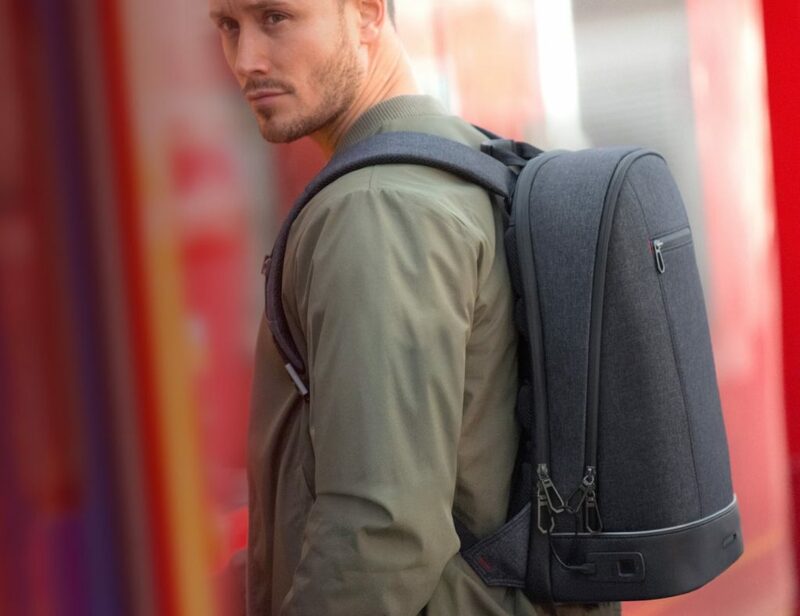 Finally, the Twin Time is complete with a striking leather strap available in 7 colors.